The menSHO!ert casual is a pattern for a basic shirt with a quite loose fit. It comes with two different neck options - crew-neck and v-neck as well as long arm, short arm and sleevless. 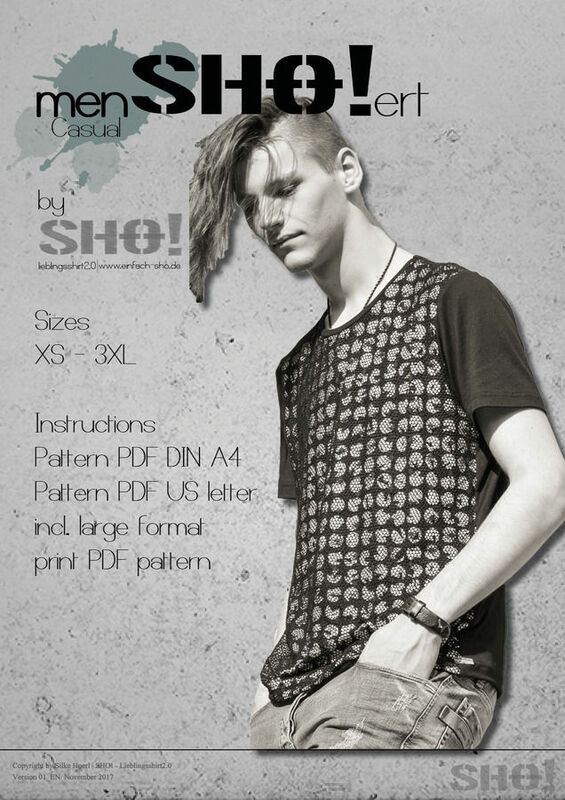 The menSHO!ert is for stretch fabrics and the eBook covers the sizes XS - XXXL. It includes an illustrated instruction, PDF pattern files in DIN A4 and US letter format, as well as several large printing file PDFs. All with metric and imperial measurements. neckband fabric for the neckband.